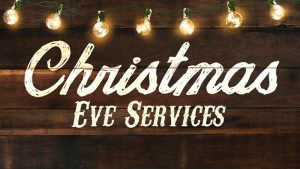 10 am – Special Family Focused Christmas Eve Service. Impromptu Christmas Pageant. (Shepherds, Wise Men, Mary & Joseph, Angels, and Animals). Props provided. Christmas carols and Communion. Happy Birthday Jesus! Goody Bags for each child. 4 pm – Carols, Candlelight, and Communion. Spontaneous Christmas Choir. OR Join Us Wednesday December 20th 6:30pm for those leaving town for Christmas. Carols, Candlelight, Communion, Spontaneous Christmas Choir.